Christmas in Finland can be memorable for visitors because Finnish yuletide traditions are very different from many other countries and regions in the world. Finnish traditions can have some similarities with neighboring Scandinavian countries and some traditions are shared among other Christian households around the world, including in the U.S. The first Sunday in December—also called the First Advent—starts the Finnish Christmas season. Many children use advent calendars that count down the remaining days to Christmas Eve. Advent calendars come in many forms from a simple paper calendar with flaps covering each of the days to fabric pockets on a background scene to painted wooden boxes with cubby holes for small items. December 13 is St. Lucia Day, otherwise known as the Feast of Saint Lucy. Saint Lucia was a 3rd-century martyr who brought food to Christians in hiding. She used a candle-lit wreath to light her way, leaving her hands free to carry as much food as possible. In Finland, the day is celebrated with lots of candles and formal celebrations in every Finnish town. Traditionally, the eldest girl in the family portrays St. Lucia, donning a white robe and a crown of candles. She serves her parents buns, cookies, coffee, or mulled wine. Much like the end of Thanksgiving is the signal for Americans to start Christmas celebrations, Saint Lucia Day is usually the day that Finns begin to start Christmas tree shopping and decorating. Families and friends also begin to exchange Christmas cards at this time. Traditions on Christmas Eve in Finland include going to a Christmas mass if you are Catholic and a visit to a Finnish sauna. Many Finnish families also visit cemeteries to remember lost loved ones. They often have a porridge for lunch—with a hidden almond in it—where the person who gets it has to sing a song and is considered the luckiest person at the table. Christmas dinner is served in Finland, between 5 and 7 p.m. on Christmas Eve. The meal traditionally consists of oven-baked ham, rutabaga casserole, beetroot salad, and other foods common in the Nordic countries. Christmas Eve in Finland is filled with the bright sounds of carols and local Christmas songs. Santa Claus, called Joulupukki in Finnish, generally visits most houses on Christmas Eve to give presents—at least to those who have been good. People in Finland say that Santa does not have to travel too far since they believe that he lives in the north part of Finland called Korvatunturi (or Lapland), north of the Arctic Circle. People from all over the world send letters to Santa Claus in Finland. 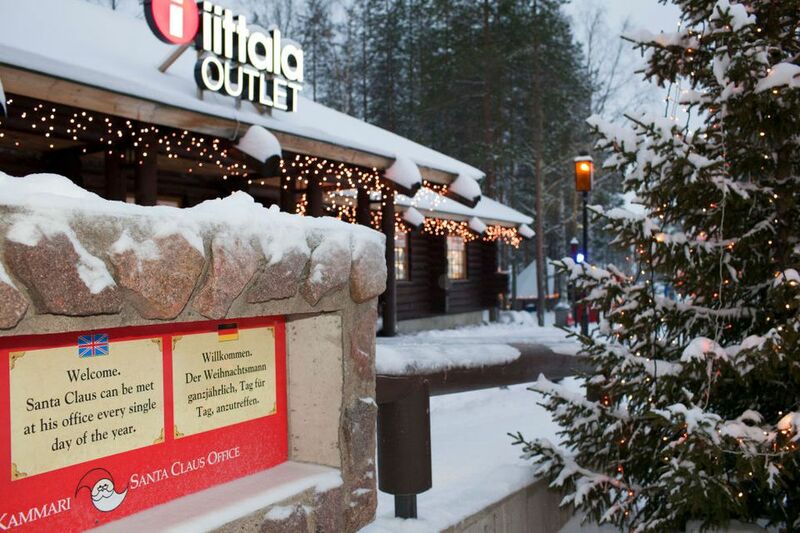 There is a big tourist theme park called Christmas Land in the north of Finland, near where they say Father Christmas lives. Christmas in Finland does not officially end until 13 days after Christmas Day, which makes the holiday time truly a season, as opposed to a single-day celebration. Finns start wishing each other a hearty Hyvää Joulua, or "Merry Christmas," weeks before Christmas day and continue to do so for nearly two weeks after the official holiday.